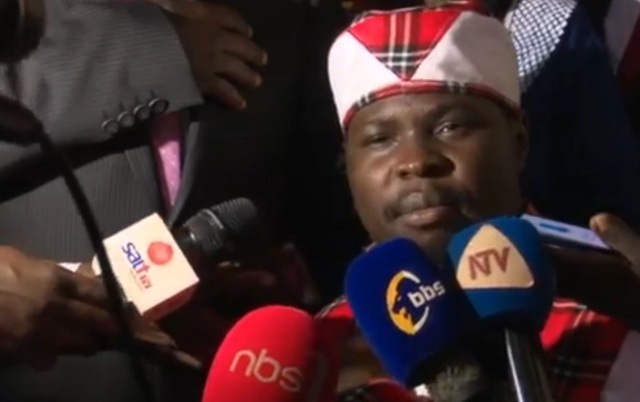 Mityana Municipality Member of Parliament, Francis Butebi Zaake claims his health has been worsened on return to the country as a result of the way security personnel handled him in our Uganda news now. 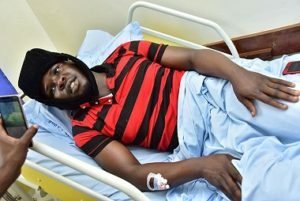 The youthful legislator returned from India where he had gone to seek further treatment following beating by security personnel allegedly attached to President Museveni during chaos that ensued ahead of Arua Municipality by-elections in August. The plane with Zaake aboard landed at Entebbe Airport around 8:00am, but he was picked and whisked away by security operatives and chauffeured home in convoy at breakneck speed, as was for his colleague, Kyadondo East legislator Robert Kyagulanyi Ssentamu. On arrival home, Zaake said that his condition has worsened by the police rush and handling. “I have a lot of pain in the head, neck, back, and joints in my legs,” he added. Zaake yesterday called upon security operatives to stop beating him for he is not chaotic as assumed. “My message to those people who put me in this kind of situation, they should leave me alone, give me peace. I am not chaotic, it is you who are hostile on me,” he said. Flahs Uganda media will keep you updated.